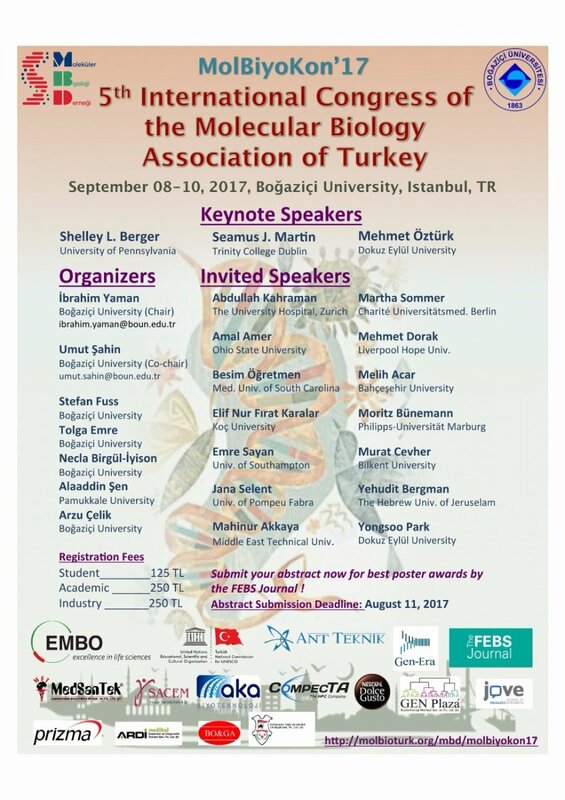 5th International Congress of the Molecular Biology Association of Turkey (MolBiyoKon) will be held on September 08-10, 2017 at Boğaziçi University in İstanbul. Molecular Biology Association of Turkey, founded in 2011, aims to bring together the community of molecular biologists from Turkey and abroad together to support the development of molecular biology, a relatively young field of science in Turkey. The annual MolBiyoKon is one of the premier international conference of note in the field of molecular biology in Turkey. MolBiyoKon is aimed to bring together researchers all around the world in order to exchange research results, scientific observations and ideas as well as to motivate and inspire students to pursue their career and education in life sciences.